The Congress and other Opposition parties on Thursday criticised the central government for its decision to demonetise notes of Rs 500 and Rs 1,000 in November 2016. 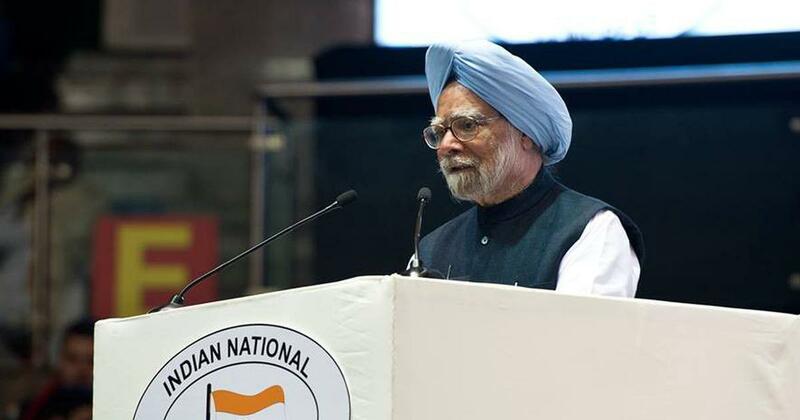 On the second anniversary of demonetisation, former Prime Minister Manmohan Singh said November 8 is a day to remember how “economic misadventures can roil the nation for a long time”. While the Congress sought an apology from Prime Minister Narendra Modi, West Bengal Chief Minister Mamata Banerjee said demonetisation had been a “disaster”. Meanwhile, thick smog enveloped Delhi and the National Capital Region a day after Diwali. 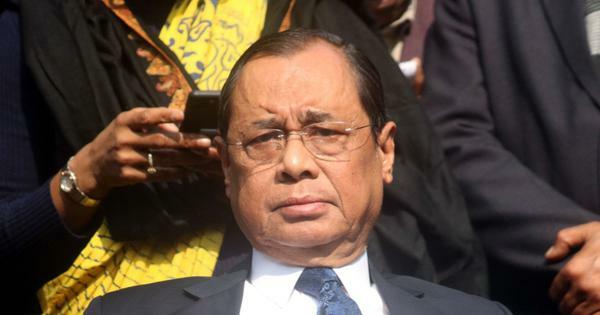 There were several violations of the Supreme Court order on firecrackers, with people bursting fireworks outside of the two-hour limit mandated by the court. Telugu Desam Party chief and Andhra Pradesh Chief Minister N Chandrababu Naidu met Janata Dal (Secular) President HD Deve Gowda and Karnataka Chief Minister HD Kumaraswamy in Bengaluru on Thursday. Naidu is trying to unite the opposition against the Bharatiya Janata Party ahead of the Lok Sabha elections next year. The Congress had declared its first list of 155 candidates on November 2, the second list of 16 candidates on November 3, the third with 13 names on November 5 and the fourth on Wednesday. The Bharatiya Janata Party on Thursday released its third list of 32 candidates for the November 28 Assembly elections in Madhya Pradesh. With this, the party has announced 224 of the 230 candidates. All India Anna Dravida Munnetra Kazhagam workers on Thursday protested outside a theatre in Madurai demanding that certain scenes from actor Vijay’s movie Sarkar be removed. Tamil Nadu Information and Publicity Minister Kadambur C Raju had asked the filmmakers on Wednesday to remove scenes showing people throwing freebies provided by the state government into a fire. Petitioner MK Gopinath argued that the board, which runs the hilltop shrine, was a trustee of the Ayapppa deity and therefore had to act as per its wishes. The petitioner also urged the court to direct the state government to file an affidavit in the case, keeping in mind the interests of most Ayyappa devotees to preserve existing traditions. Congress leader P Chidambaram claimed on Thursday that the government was trying to “capture” the Reserve Bank of India to tide over its fiscal crisis. The former finance minister warned that any such attempt will be “catastrophic”. The Bharatiya Janata Party on Thursday launched a six-day “Save Sabarimala Rath Yatra” from Kasargod district to “protect the traditions and rituals” of the Ayyappa temple in Sabarimala. The march will culminate near Sabarimala on November 13 when the Supreme Court is set to hear the review petitions against its order allowing women of all ages to enter the shrine. The Directorate General of Civil Aviation has asked Jet Airways and SpiceJet to monitor and fix potential problems with Boeing 737 MAX planes that could lead to a “significant altitude loss” of the aircraft. A jawan of the Central Industrial Security Force and three civilians were killed on Thursday when suspected Maoists triggered a blast on a bus in poll-bound Chhattisgarh’s Dantewada district. Kerala Chief Minister Pinarayi Vijayan on Wednesday accused the Sangh Parivar of trying to rewrite history by forcing the Indian Railways to erase a mural depicting the 1921 wagon tragedy at Tirur railway station. The mural, part of a beautification project, was reportedly finished on Friday, but erased by Monday. Union Finance Minister Arun Jaitley on Thursday defended demonetisation and said it was “one of the key steps in a chain of important decisions” taken by the government to formalise the economy. Days after the Uttar Pradesh government renamed Allahabad and Faizabad to Prayagraj and Ayodhya, the Shiv Sena on Wednesday asked Maharashtra Chief Minister Devendra Fadnavis when his government would rename Aurangabad and Osmanabad districts. Former Prime Minister Manmohan Singh on Thursday said that November 8 – the day when India demonetised high-value currency notes in 2016 – is a day to remember how “economic misadventures can roil the nation for a long time”. He urged the government not to resort to any more “unorthodox, short-term” economic measures that can lead to uncertainty in the economy and financial markets. The Indian Oil Corporation on Thursday said fuel prices were reducedfurther and that petrol now costs Rs 78.21 per litre in Delhi, down 0.21 paise. A litre of diesel in the Capital costs Rs 72.89 per litre, lower by 0.18 paise. Several Air India flights from Mumbai’s Chhattrapati Shivaji Maharaj International Airport were delayed on Thursday following a flash strike by the contractual workers of Air India Air Transport Services Limited. The airline’s permanent employees have been deputed to normalise the flights, a spokesperson said. The Election Commission on Wednesday asked the Biju Janata Dal-led Odisha government to seal its border with poll-bound Chhattisgarh and increase monitoring. Odisha’s Chief Electoral Officer Surendra Kumar said the poll panel had asked eight border district administrations in Odisha to increase monitoring to detect Maoists or people carrying alcohol, cash and other materials. Delhi and the National Capital Region on Thursday woke up to a thick smog the day after Diwali celebrations in the region. The overall Air Quality Index at 6 am was at 325, according to the Central Pollution Control Board, but the AQI at multiple places including Anand Vihar was at 999, beyond which a deterioration in air quality cannot be measured. Maharashtra Navnirman Sena chief Raj Thackeray on Wednesday claimed he was told that the state government had killed tigress Avni in an area in Yavatmal district that is the proposed site of businessman Anil Ambani’s project. A youth allegedly forced a cracker into a three-year-old girl’s mouth and lit it leaving her with serious injuries in Uttar Pradesh’s Milak village in Meerut on Tuesday. The girl is being treated at a local hospital and is in critical condition. She needed 50 stitches and has contracted a throat infection. The Karnataka Police on Wednesday said Ballari-based mining baron and former Bharatiya Janata Party minister Gali Janardhan Reddy is absconding. The owner of a firm called Ambident Group has accused Reddy of demanding Rs 18 crore to bail him out of a case. Reddy was a minister in the BS Yeddyurappa government at the time. The Kerala Police on Wednesday arrested a man for allegedly assaulting a woman pilgrim at the Sabarimala temple, suspecting her to be of the menstrual age. A group of devotees had surrounded Lalitha Ravi, 52, and heckled her as she arrived at the hill shrine with her family members to offer prayers on Tuesday. The Congress on Wednesday named 29 candidates in its fourth list of candidates for the Madhya Pradesh Assembly elections. The polls will be held on November 28 and the results will be announced on December 11.